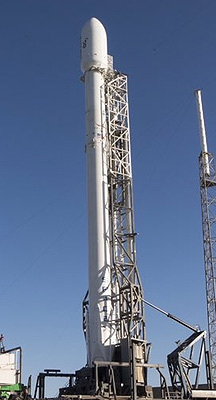 The first stage, which is potentially reusable after recovery by parachutes (v1.0) or by powered landing (v1.1), is powered by 9 of the SpaceX built Merlin-1C (v1.0) or Merlin-1D (v1.1) engines with regenerative cooling. The upper stage uses a single Merlin engine and will also be potentially reusable. 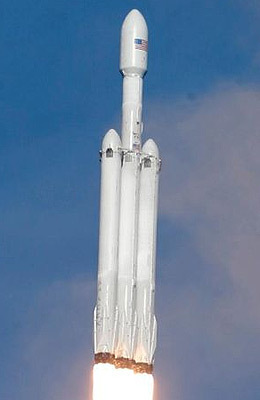 The Falcon-9 is offered with a 5.2 m fairing. 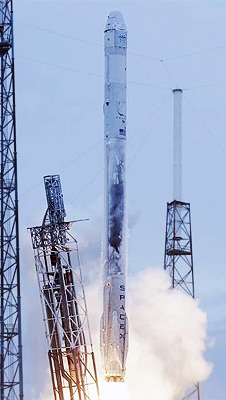 The first flight for a Falcon-9 took place in June 2010. 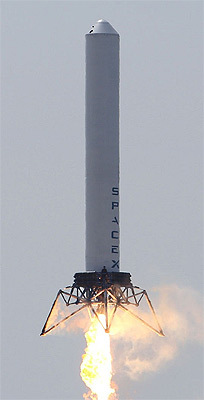 The first flight for a Falcon-9 v1.0 took place in June 2010. 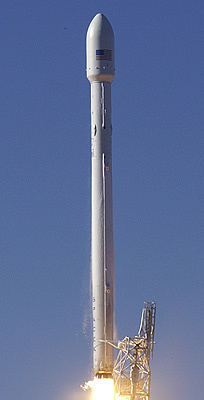 In 2013, the enlarged Falcon-9 v1.1 took over, featuring higher powered Merlin-1D engines in a new octagonal arrangement and larger tanks. 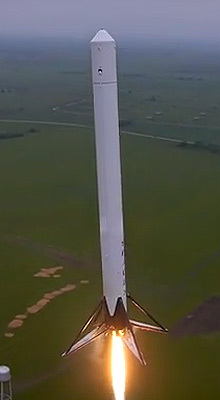 Falcon-9 v1.1 and all subsequent versions feature as standard version landing legs for recovering the first stage via propulsive landing. For increased performance requirements, these can be flown as expendable vehicles.